As this section is of the greatest importance in implementing the functionality of the Kwikwap system, we have compiled a PDF document outlining the functionality of the Management Portal (MP). To read this document, go to the "Management Portal Overview". In this document we highlight the features of the MP, as well as share many tips, tricks, shortcuts and best practice guidelines. We highly recommend that you work through this manual AND the "Web Page Content Editor", as it will greatly enhance the understanding and efficacy in using Kwikwap. 1. 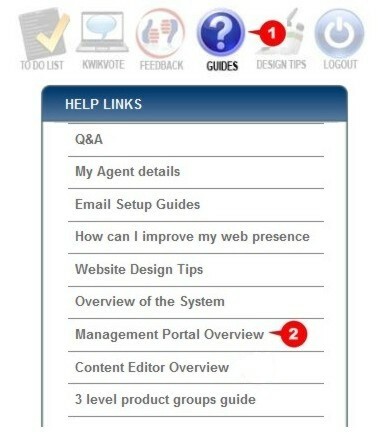 Click on the "Guides" button in the top right hand corner of your Management Portal. 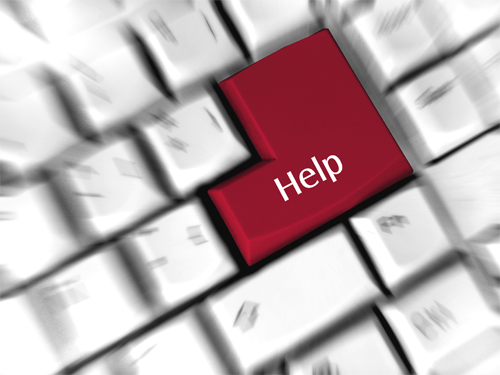 The "Help Links" menu will open on the left hand side of the screen. 2. Click on the "Management Portal Overview" link to get the Management Portal PDF.